Gov. Jerry Brown signed a pair of bills Thursday designed to permanently restrict indoor and outdoor water usage by residents and businesses across the state. “In preparation for the next drought and our changing environment, we must use our precious resources wisely. 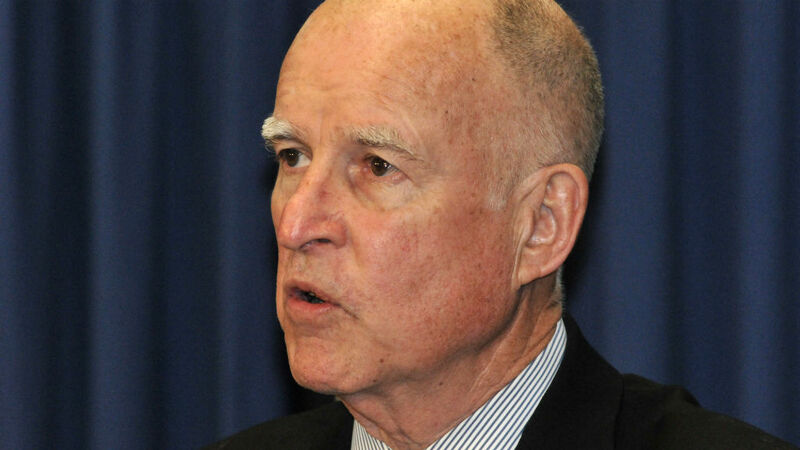 We have efficiency goals for energy and cars – and now we have them for water,” Brown said. The bills — SB 606 by Senator Robert Hertzberg (D-Van Nuys) and AB 1668 by Assemblywoman Laura Friedman (D-Glendale) — establish guidelines for water use and set a framework for overseeing the new standards that must be in place by 2022. Establishing an indoor, per person water use goal of 55 gallons per day until 2025; 52.5 gallons per person from 2025 to 2030; and 50 gallons per person beginning in 2030. Standards for outdoor use are expected by October 2021. It’s not immediately clear how consumers will be required to meet the new standards, but the bills allow state regulators to assess thousands of dollars in fines against jurisdictions that do not meet the goals. The State Water Resources Control Board reports that California residents used an average of 90 gallons of indoor and outdoor water per day in 2017, down from 109 gallons in 2013. Due to drought conditions, Brown declared a state of emergency in January 2014 and in 2015 a mandatory 25 percent cutback on water use was established statewide. Those temporary standards were relaxed in 2016.